Oskar Gröning, known as the “Accountant of Auschwitz,” was charged with the murder of 300,000 Jews. When he took the stand in 2015, at the age of 94, his trial made headlines worldwide. 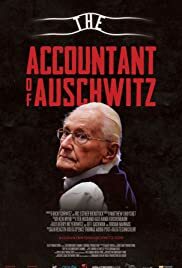 This eye-opening doc, despite its well worn subject of Jews slaughtered in Nazi concentration camps is based on the 2015 trial of 94-year-old Oskar Groning, the Accountant of Auschwitz. He went on trial in his home town in Luneburg, Germany for the murder of 300,000 people, way back in 1944. The case made headlines around the world, as a frail old man took the stand to finally face justice for crimes committed long ago. Director Shoychet shows two sides of the argument, that a precedent must be set for the murders of the past. On the other hand, it could be argued that Groning, like many other Germans that followed served no purpose. The photo of Groning as a young man in uniform makes the guilty man look so innocent, and his current photo at the age of 94, which bears no resemblance at all to the old photo stresses the relevance of prosecuting the man. The doc is quite different here, as many Germans are interviewed and have their say on camera. The Germans get to debate both sides. Survivors and Nazi hunters alike are therefore torn over whether he should be prosecuted at all. The film also contains archive footage with relevant commentary on the Nuremberg Trials. But the highlight of the film are the testimonies of the survivors, prosecutors and other interviewees whose words bring shivers regarding what have transited in the past. Oskar Groning just passed away March of this year.